HOLIDAY HOMES TO RENT IN AUDE, LANGUEDOC-ROUSSILLON. Welcome to our selection of holiday homes to rent in Aude, France. The Aude is a departement on the border between the southern areas of Languedoc-Rousillon and Midi-Pyrenees. Known as an area of contrasts, visitors can enjoy beautiful beaches, mountain scenery and some of the most interesting historic areas in all of France. The medieval town of Carcassonne, with its fortress and towers, is a must-see if you're in the area. The coastline in Aude is a long stretch of sandy beaches, most of which are very wide and backed by sand dunes and areas of forest. There aren't many seaside resorts, with hotels and promenades, but there is a lot of open space if you want to spend a day on the beach away from the crowds. The Plage des Chalets is one of the more tourist-friendly beaches, with showers, toilets and a few beach bars where you can buy snacks and drinks while the Grau de Leucate beach is more remote, but offers fantastic views out to sea and along the Aude coastline. Be warned; some of these quieter beaches are often set aside for nudists! The medieval city and fortress of Carcassonne is one of the most interesting cities in all of France. The old town is split into the Ville Haute, which was inside the ramparts and 52 fortfied towers in centuries past, and the Ville Basse where most of the population lived. You can spend hours wandering around the narrow, winding streets that have changed little in hundreds of years while there are countless cafes, restaurants and souvenir shops to cater to the tourists. Further south in Aude are the hilltop towers of the Cathar castles; they are linked by a marked path but it is essential that you only tackle it if you are an experienced walker and weather conditions are good as the route can be difficult. In the north of the region are the Black Mountains, a region criss-crossed by dozens of walking trails of varying difficulties and lengths. The woods in these mountains also make horse riding a popular activity and there are several equestrian centres that will organise day-long pony treks with a guide. As well as offering pleasant beaches for sunbathing, the Aude coastline is also a popular place for water sports such as sailing and water skiing, while the Canal du Midi offers more sedate boat journeys, such as narrow boat day trips or longer holidays. Looking for self catering holiday accommodation in Aude? 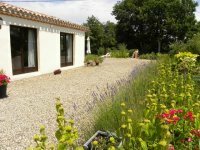 Then below is a selection of gites in Aude and villas in Aude that can be rented direct from their owners. You can either click on each listing for further details or you can use our search engine on the left if you are looking for something in particular.